Eastern Honduras seems to have been a zone of remarkably similar material culture during Periods V and VI, an observation which is undoubtedly a product, at least in part, of a lack of work in the region, more of which might reveal intra-regional differences. This zone of similarity extends, approximately, from the modern city of La Ceiba, on the north coast of Honduras, southeast to Catacamas, Olancho, and then east southeast to the Atlantic, with the southern extent probably falling somewhere south of the Patuca River, possibly in the northern part of the Nicaraguan Mosquitia. 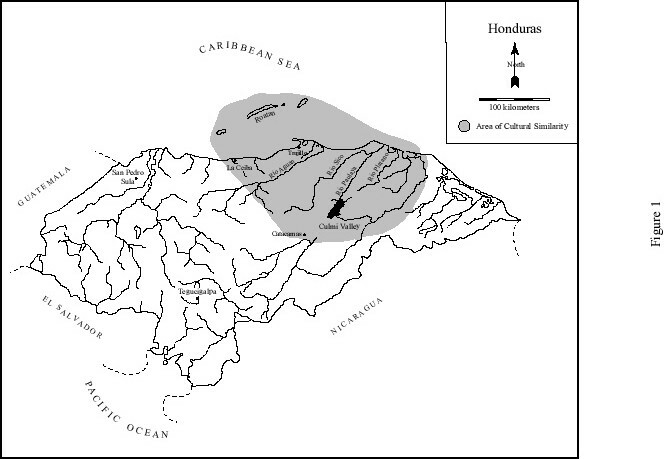 When we talk about the archaeology of the Mosquitia, or of eastern Honduras, we are really talking about this large area, indicated in gray on the map below. All indicators suggest that the very similar people lived throughout this area. There is nothing special about sites in the rain forest vs. pine forest. In fact, many indicators exist to suggest that some of the rain forested area we see today was, at one point, pine forest. Even still, we find enormous pine stumps deep in the jungle, where we get ocote (or pitch pine wood) to start fires in the rain forest. It is important to not reify the recent boundaries (pine vs. hardwood forest, in the Biosphere vs. outside of the Biosphere, etc) and artificially divide this region of remarkable similarity in material culture. Magnus’ (1974) work in the southern part of the Nicaraguan Atlantic watershed demonstrates that this zone of similarity does not continue as far south as Bluefields, in the southern part of the Nicaraguan Mosquitia. There may be a boundary of sorts at the western edge of the Mosquitia coastal plain. All of the large sites recorded occur west of a line running south from the Rio Sico, corresponding more or less with the eastern edge of the mountainous portion of the Mosquitia. 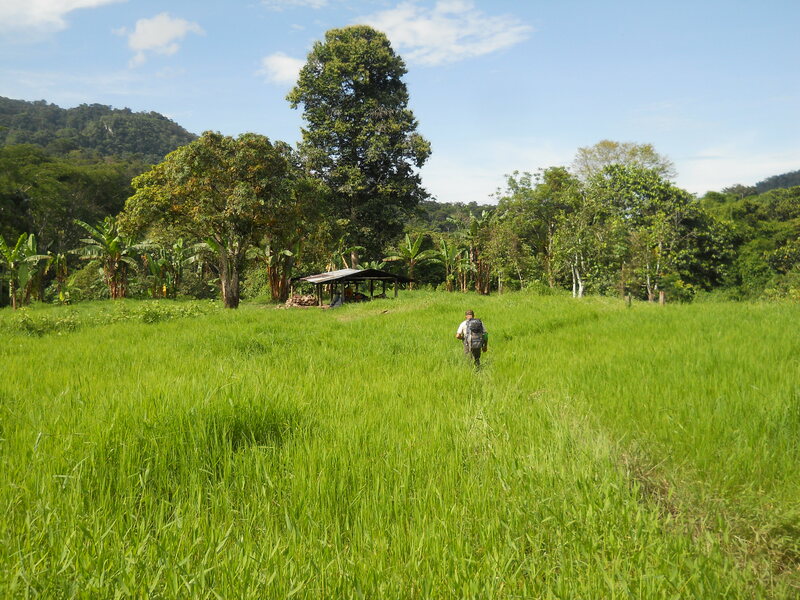 Locals report few or no large sites in the lower reaches of the Plátano, Patuca, in areas to the south. Early researchers who traveled through both the coastal plains and the mountainous regions commented much less on the archaeological resources in the coastal plain (Reyes Mazzoni 1976; Spinden 1925; Strong 1934a, 1934b). 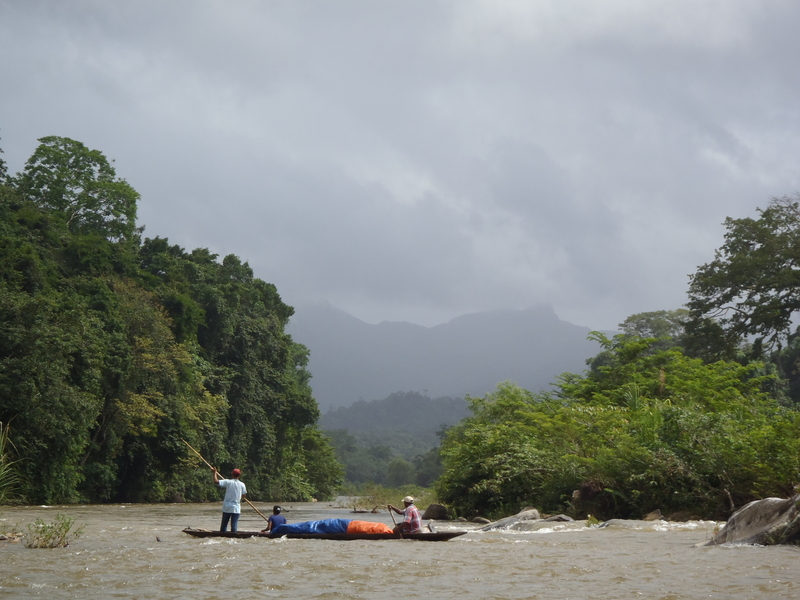 Again, the lack of research in the southern Mosquitia may account in part for this apparent difference between the coastal plain and the higher areas, such as the headwaters of the Paulaya and Plátano Rivers. Along the western edge of eastern Honduras, in the Olancho Valley near the modern city of Catacamas, there appears to be a gradual transition from eastern to central Honduran material culture. Sites near Catacamas, such as Talgua Village (OL-33) are fully within the eastern Honduran tradition, while the site of Chichicaste just 50 kilometers to the west contains many western elements such as polychrome ceramics not common further east, suggesting a shift in affiliation somewhere in the Olancho Valley. While Chichicaste also contains many eastern Honduran features, including ceramics, there exist similarities between some of the ceramics at the site of Chichicaste and those from the Cajon region of central Honduras, suggesting a gradual progression from east to west. Strong’s (1934a: 47) report of the ‘more westerly’ site of San Marcos, also in the Olancho Valley south of Chichicaste at the same approximate longitude, reinforces the central Olancho Valley as the western limit of the eastern Honduran traditions. The southern limit of the region is less well defined. It is known that the southern part of the Nicaraguan Mosquitia was occupied by groups with a distinct artifactual and architectural tradition during Period V, with greater similarities to Costa Rica (Magnus 1974; Strong 1935: 165-172). It goes without saying that areas of similar material culture may nonetheless contain a variety of groups engaged in relationships of different kinds, and I make no assumption about the solidarity of the region ethnically, politically, linguistically, or otherwise.